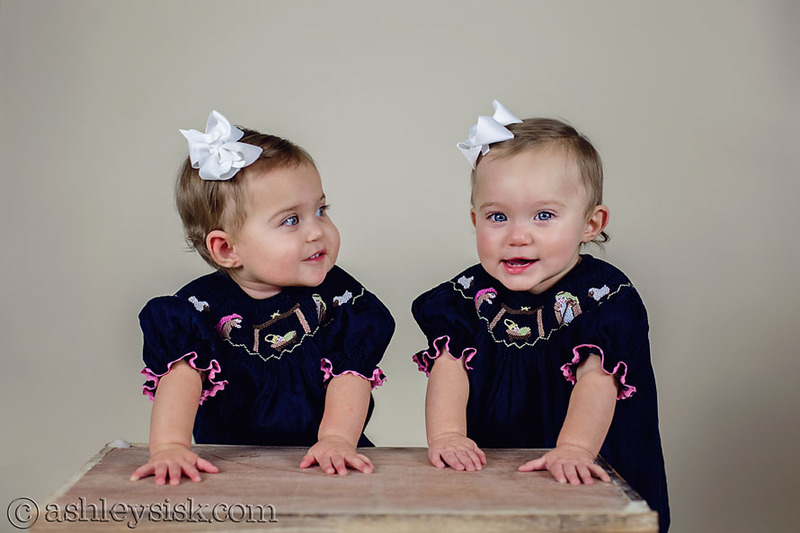 Ellie and Lanie are 9 months old. 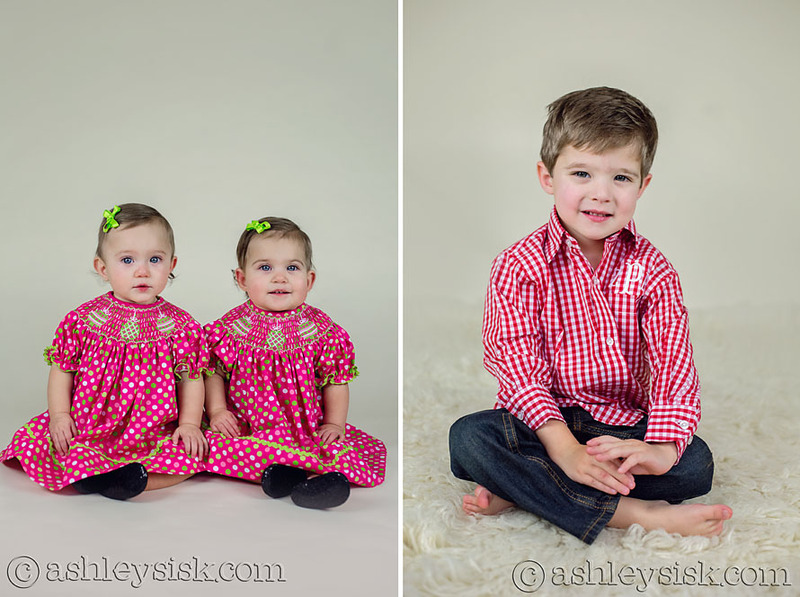 To celebrate, I brought the girls (and their big brother) into my in-home “studio” on Sunday for some portraits. We had originally planned to meet at another location, but the rainy weather brought us inside. In fact, over the past few weeks, we’ve had to reschedule due to weather and sickness a few times. With the girls healthy, we had to take advantage of the time. I’ll admit that studio work is not my forte…it’s actually way out of my comfort zone. However, I’m trying to improve. Luckily, Jessica (the girls’ mother) has been with me for years and is willing to be my guinea pig. I’m thinking over the next few months, I’ll have many more opportunities to practice this skill set. But I should probably pick up a few extra pieces. Floorboard? More seamless paper? Any suggestions? If you’re one of my clients (or a potential client), please let me know if studio work is of any interest. 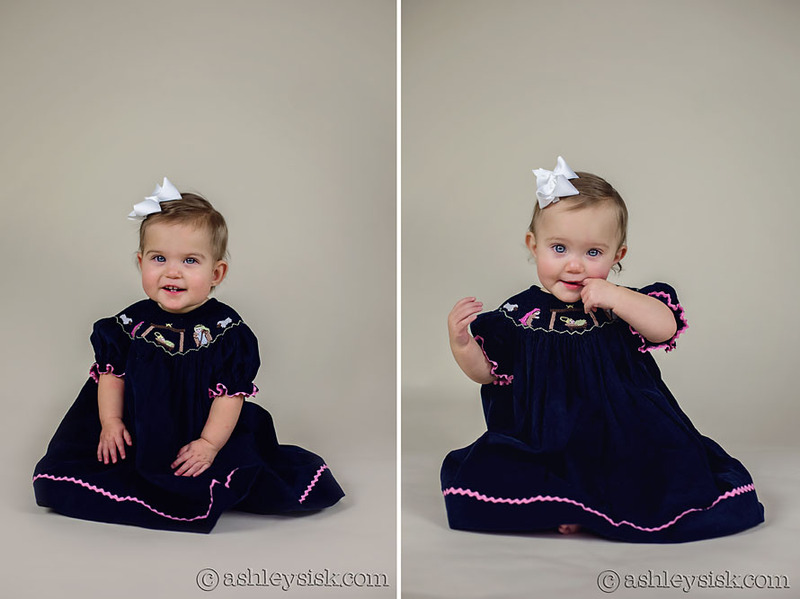 It’s a great opportunity to have some traditional portraits made and I may look into getting creative with the finishes. Not sure. Either way, we had a great time and I’m very pleased with how these turned out. 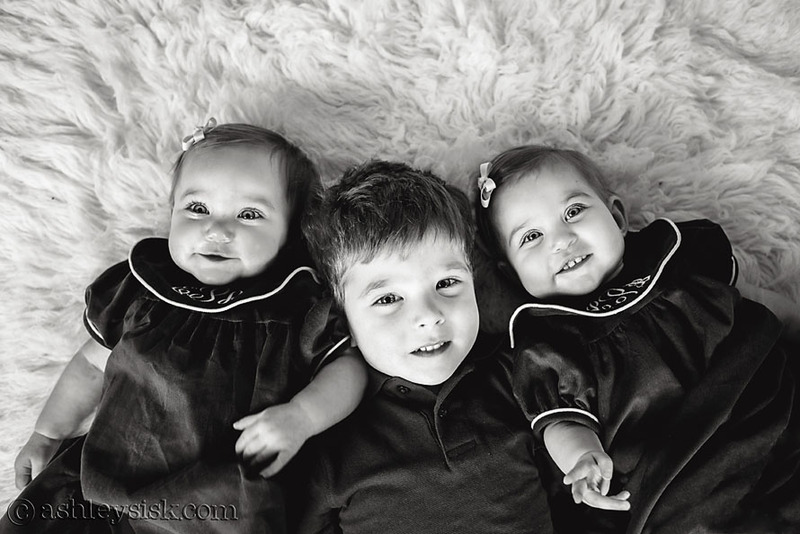 I can’t wait for their 1st birthday in a few months. I guess I should start thinking about what we can do for that session.